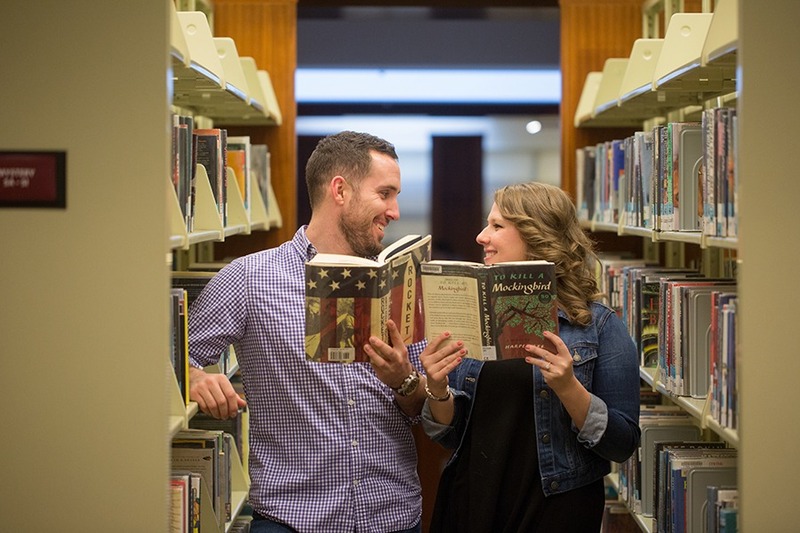 Kristen and Cameron’s engagement session took place in December but you couldn’t tell from the photos! 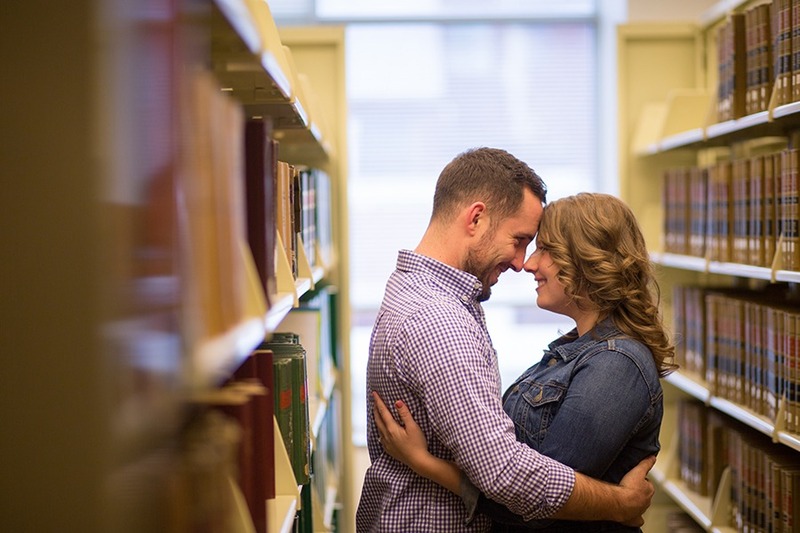 They have a laid back yet playful attitude which made our session fun. 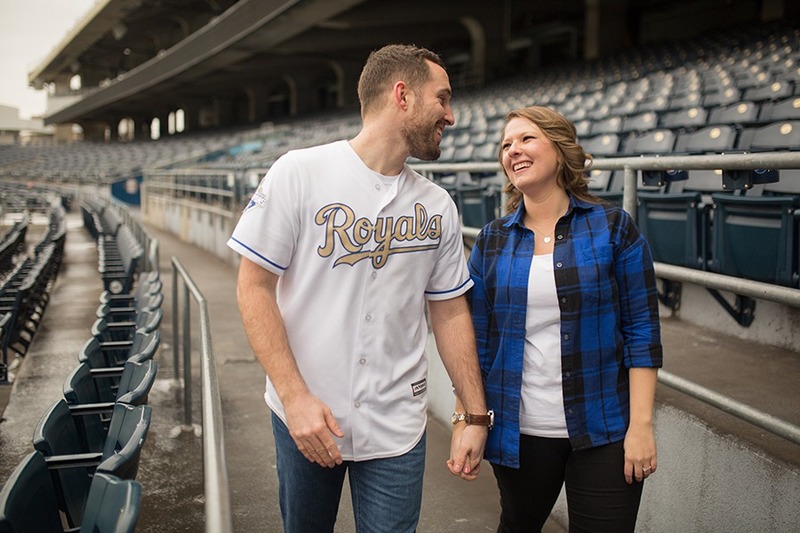 This couple loves being together but they also have some disagreements including college sports teams the one team they have in common is the Kansas City Royals. 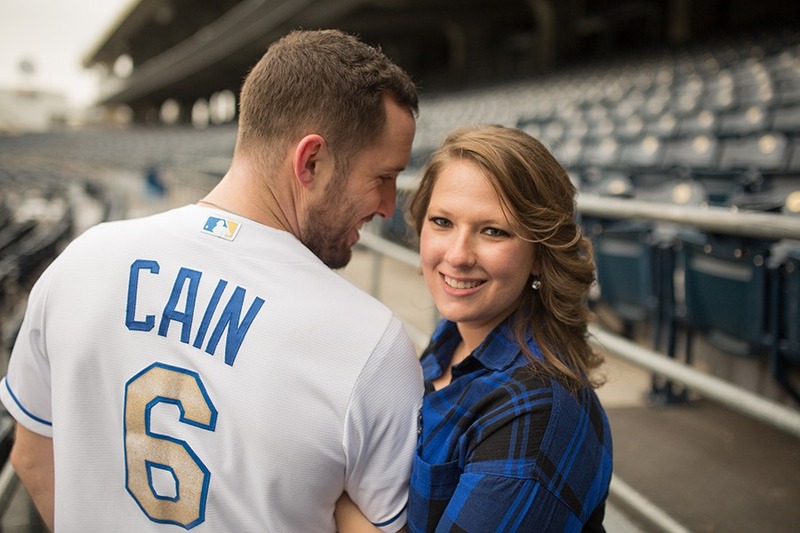 Kristen explained to me the interests that they share: “Cameron and I LOVE the Royals! It is the only sports team that we agree on! Chiefs are good but I am more of a college fan! Go K-State! 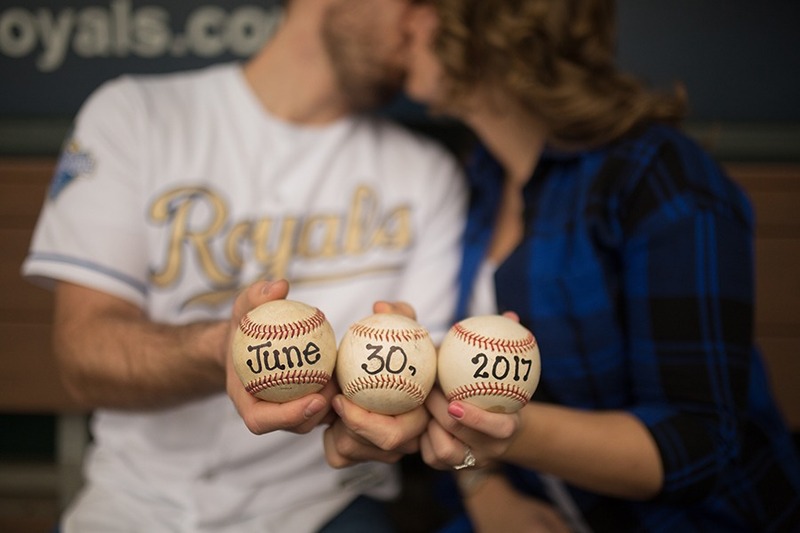 Each summer we try to get to as many Royals games as we can. Our record so far for most games in a summer is 15 games! Wahoo! 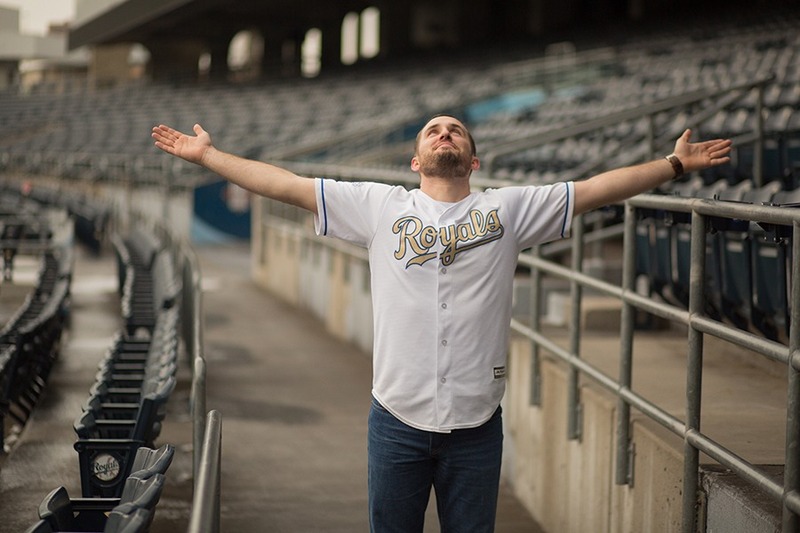 Go Royals!” Which is why it made so much sense to start the K! 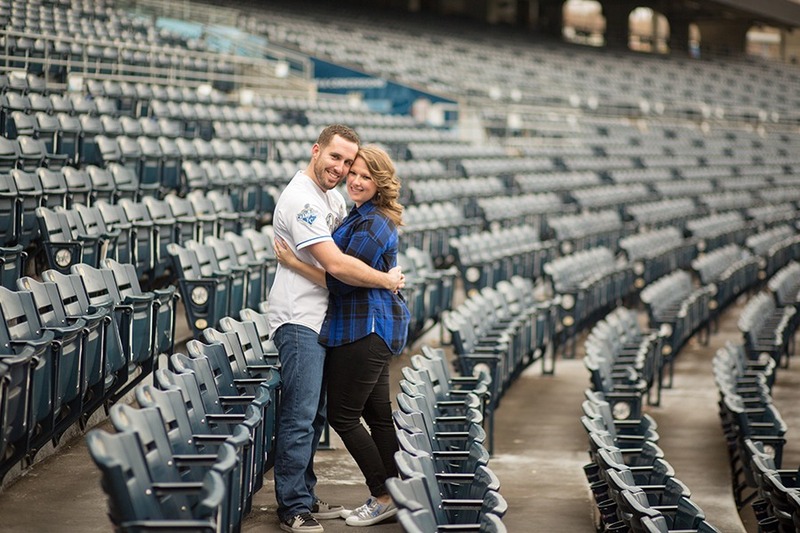 for the perfect Kauffman stadium engagement session! We got some great shots in the dugouts and some of my favorites happened in the empty stands. 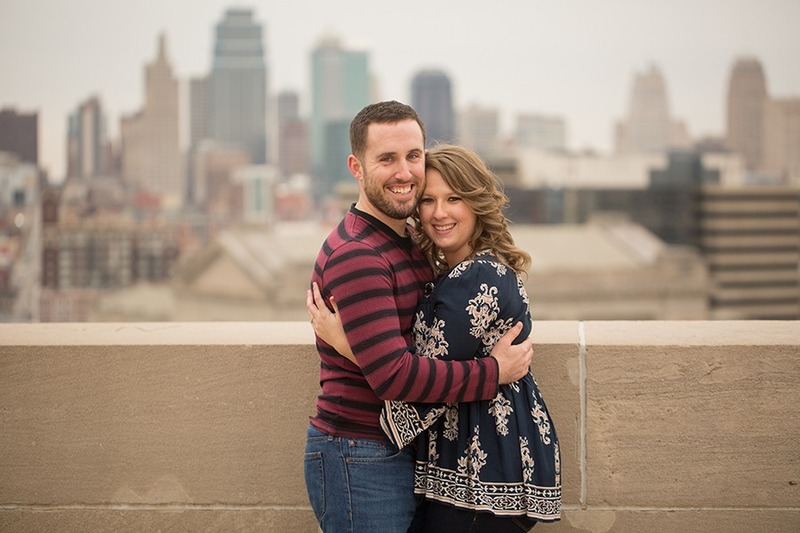 Next, we headed to Liberty memorial where Kristen and Cameron got to snuggle up because of cold December weather. 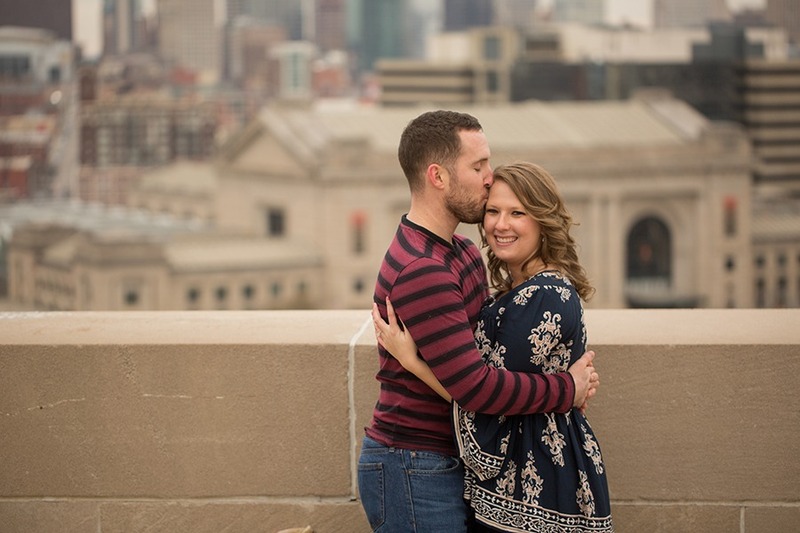 We got some great shots at the Liberty Memorial with the Kansas City skyline in the background. Kristen and Cameron both have a love of kids and learning. 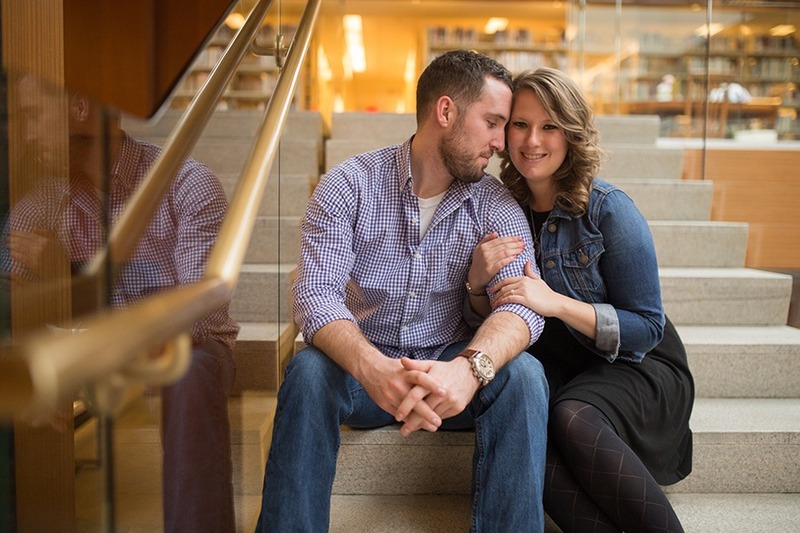 They met at a daycare where Kristen was a teacher and Cameron ran the after school program. 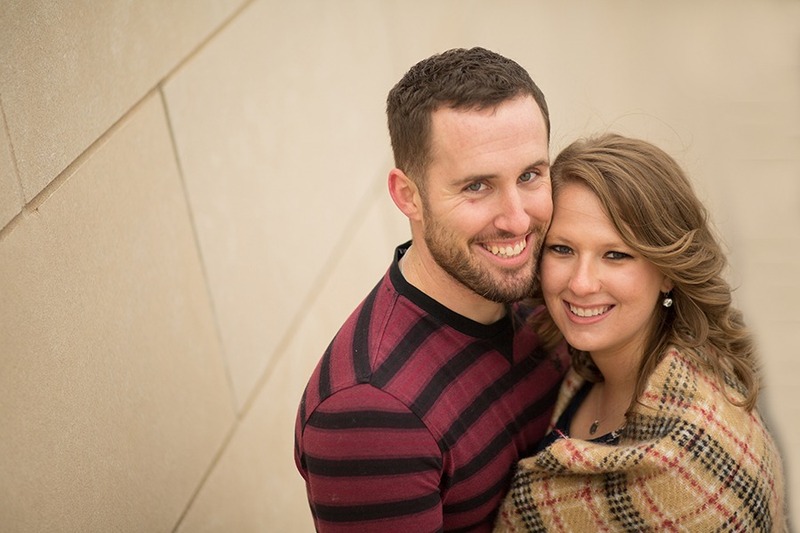 Kristen’s passion is working with special needs kids and Cameron is currently an eighth grade history teacher. 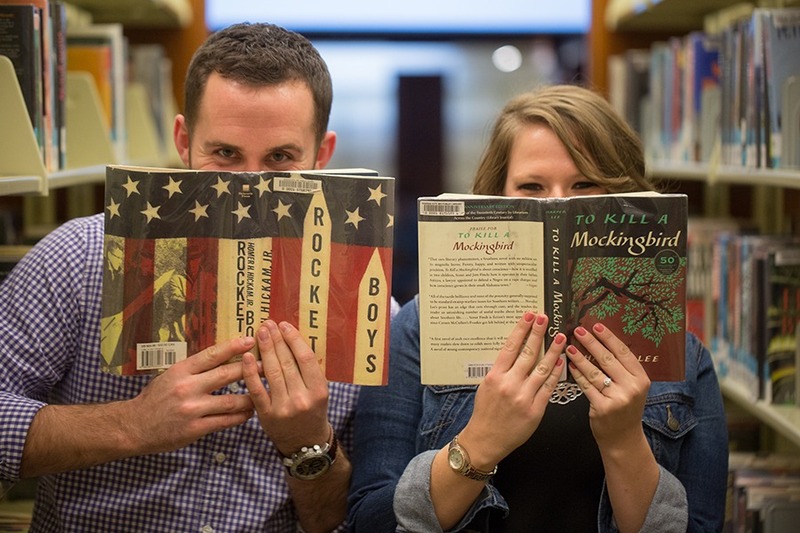 Which is why we chose to go to Kansas City Downtown Public Library as our next location. 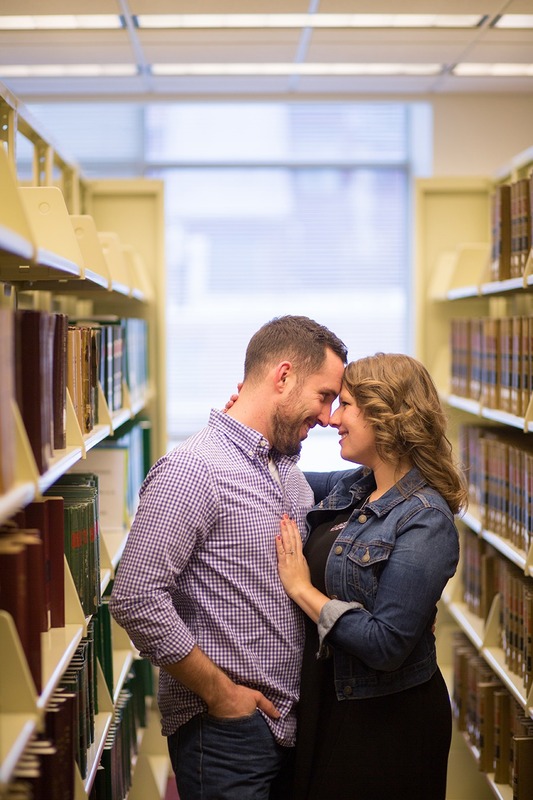 I love getting to show off a couples personality through the images I capture and in this session I feel like you can really understand who these two are. 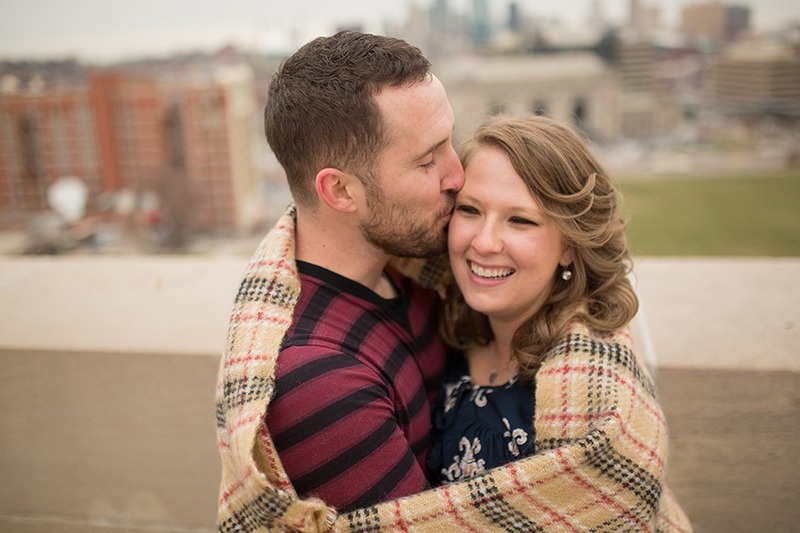 I had a great time at their session and I can’t wait to meet their friends and family at their wedding coming at the end of June. 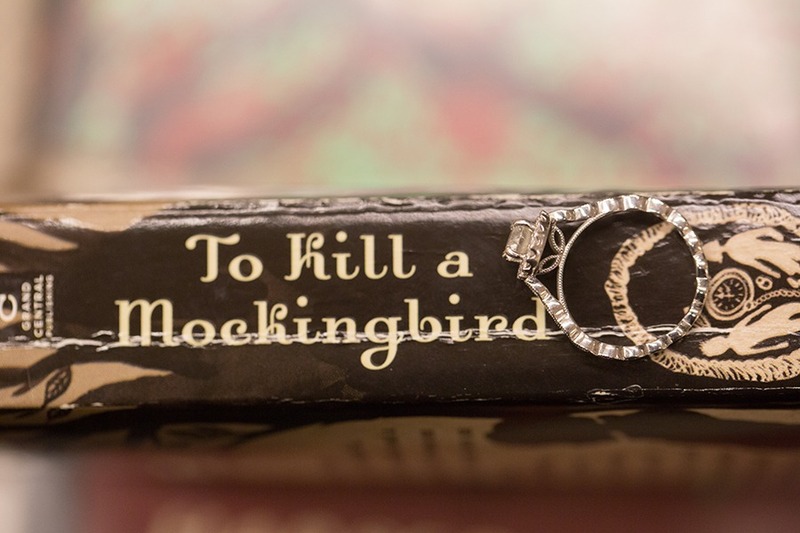 I’m so honored they chose me to photograph their wedding day! 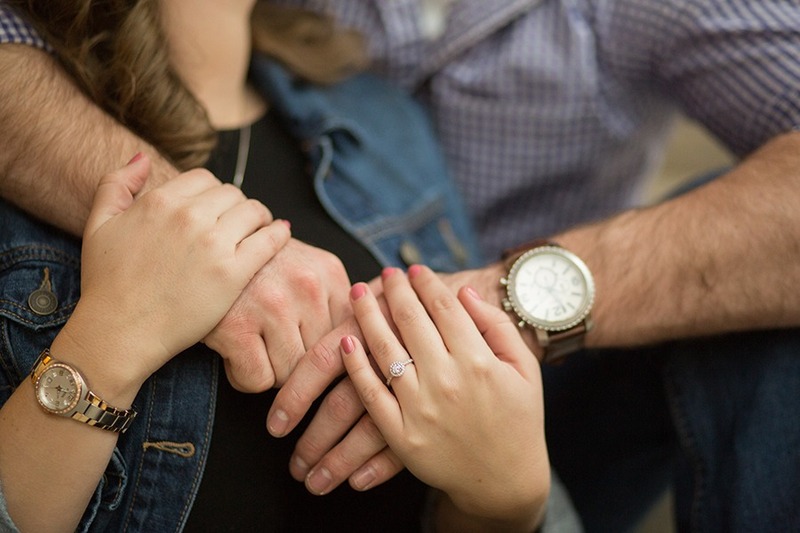 Be sure to check out my wedding portfolio and engagement portfolio!